A sharp, new business centre finished to high specifications and offering office accommodation for a range of company sizes from individuals to medium level companies. Virtual Office arrangements are also available and the centre has superb facilities including showers, cutting-edge technology and messaging services. Stevenage train station is a few minutes’ away as is the A1. Based in the developing city of Stevenage and ideally situated on the outskirts of London, this business centre provides a wide range of various sized offices and light industrial spaces on flexible 12-month license agreements. Just 15 minutes" walk from the train station. 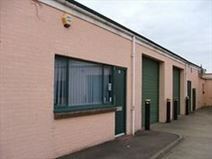 Several workshops/studios and a number of small office units are available to let on this industrial estate with adjacent parking and 24 hour access. 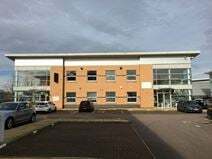 The accommodation would suit a variety of companies and is sited a short drive from Stevenage and the A1. This centre offers excellent on-site amenities which include parking spaces, training rooms, meeting room availability, a communal area, kitchen facilities and a management team to help with any queries. The space is located around a 15-minute walk away from Stevenage town centre, which offers places to eat and drink, shopping outlets and a number of places to stay, including a Holiday Inn and an Ibis Hotel.